Last month, St. Ives native Bailey Tomkinson saw her most recent release (7 Minutes In Heaven) peak at number 2 on the UK iTunes Country chart. Following the release of the tracks music video (see it below), we caught up with Bailey for our Quick Fire Five to find out more about her and some of her influences in country music. 1: What is country music to you? I’m part of a generation that grew up watching Nashville, listening to Taylor Swift and The Dixie Chicks. For as long as I can remember, Country music has been my preferred form of self-expression. I write Country songs because it’s about telling the truth, I can take my feelings and put them in a song. 2: How can you describe your sound to a new audience? I’m a British Country Artist. I’m British, so I want my brand of country music to be authentic to that reality. I don’t want to impersonate the American scene by putting on a fake Southern US accent or anything like that. Three chords and a British truth is what I’m aiming for. I guess I sit best in the country-pop space...Some people get a bit antsy about the purity of genres but I like Country and I like Pop and I’m inspired by artists across all genres, you’ll pick up elements of my record collection in my sound! Cyndi Lauper, John Denver, Madonna, Jewel, Taylor Swift, The Beach Boys and Frank Sinatra to name a few. 3: One artist you’d want to collaborate with? I’d love to collaborate with Billy Joel, I think his stories are so intricately described with such a personal narrative - I find this quality inspiring. So much of what we hear now can be a bit karaoke but I think of him as a true musician. He plays piano so beautifully and I’ve always idolised his unique style. 4: What are your all time top five country tracks? I love George. This feels like a traditional country song, thanks to the narrative and the instrumentation - but there’s some really clever things happening with the rhyming and near rhymes to create the chorus. I think melody is the most important part of a song, a great melody is the gateway to people discovering your message. This is a song that brings back many happy memories from my childhood - always puts me in a great mood. This song is in my set list. The narrative structure has been massively influential to my writing, you feel as though you’ve read her diary and that’s exactly how I want my music to be perceived. This is one of the most beautiful songs I’ve ever heard, I love mix of pop and country - this was one of the songs that made me fall in love with country music. This song is pure magic to me. I discovered this artists music in a movie I loved and I’ve been a massive fan of hers ever since. I love the Hawaiian influences on country, they’re enchanting and I think they show really well how Country Music can be shaped by places other than just the American South.. The lyric “I fall for you like drops of summer rain” is one of my all time favourite lyrics. 5: Final question, which venue you’d like to perform in the near future? I’ve always dreamed of playing The Bluebird Cafe in Nashville. I’ve never been to Nashville, I really want to visit it - I promised my Grandma before she passed I’d get there one day! On April 12th, Richmond, Virginia based artist Graham Stone will be releasing his sophomore album - Bad News. We've had a listen to the record already and reached out to Graham to find out more about him and the Bad News album. 1: Describe your sound in 5 words? 2: 3 artists that changed your life? 3: Leading different bands that vary in time players and sound, what have each moment taught you? Not to try and control things too much, just really to try and enjoy every second of it. 4: If you were to pick 1 song from the upcoming album [Bad News] which one would you pick and why? I'd pick Tennessee Hills because it's a love letter to my wife. I'd pick Fightin For because it's a love letter to my son. I'd pick Little River because it's a love letter to my brother. I'd pick Oh Hell because it's real, I'd pick Bad News because it's true, I'd pick Richmond Town just because I love it, and I'd pick Celebrate because I love it enough to want to change it, I'd pick Nobody because it's funny and I'd pick Haulin Grass because it rips. 5: In a world full of opinionated people speaking their mind about the current state of the world, what to you do you think stands out in your upcoming release [Bad News]? The Good News! I think that joy and hope stand out. At least I hope they do. Right in the face of the acknowledgement of the current state. That we have a choice, that we can actually still choose joy and hope. I'm not exactly sure how successful I was at actually getting those themes across, but that's what I was going for. That's the gospel message. ​As we continue our build-up to this years Country2Country festival we caught up with an artist who will be appearing in both London and Glasgow this year. Taking to the Spotlight stage in the main arena on Saturday before headlining the evenings after party, Michael Ray has now confirmed he will be playing a set on the Sunday as Nashville's famed Bluebird Cafe takes over the O2 Blueroom. ​On our first listen to his new EP, Juliet, we knew we wouldn't be turning this one off for quite some time so we reached out to Dan to find out a little more about the album and being an independent artist in the world of major record labels. What is your favourite track to perform from the new album? Church! Its a fun, foot stomping, fiddle tune that gets everybody dancing. On our recent tour of Canada I was getting an email or a DM every night about this one. Its just so much fun! With so many uptempo tracks what was the inspiration for the album? I think the uptempo thing comes to me naturally (maybe its my rock background), I just like to see fun music when I go to shows, so that's what comes out of me. I named the record for my youngest daughter Juliet who is just about to turn three. She loves to rock out and sing and dance to all these songs in her Elsa costume. Its the best! How did the video for can't help myself come about? Well as an indie artist, budget is ALWAYS a constraint - I decided I would take a small video budget as an opportunity to be creative instead of a constraint. We decided that if the catering budget was the prop budget, that would make for a fun video. I think my video director just wanted to hit me a cake. Haha! What advice would you give to independent artists? I think the best advice I could give was to try to not ask people to sign you, book you, or represent you. Go out, make some waves, figure out how things work in the industry and do your best to take care of things - even on a micro level. Then benchmark your growth. THAT info is crucial to getting potential team members interested. Instead of asking for people to sign you, find out who your dream team is and just keep them in the loop on your growth. Well I'm really excited to get back on the road this summer - were playing festivals across Canada and I cant wait to start playing this new record live!! ​It is now less than a month until the biggest weekend of country music in 2019 takes over London's O2 Arena and we have our second Quick Fire Five buildup. This time we have spoken with Festival Stage artist Lauren Jenkins. 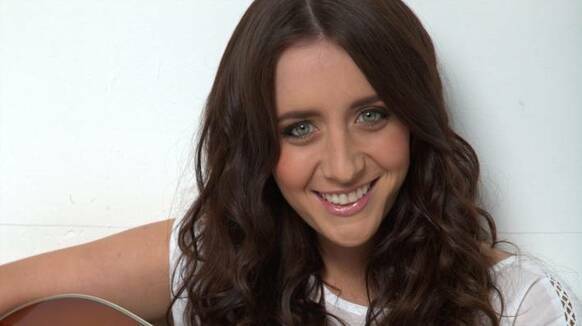 Over the weekend you will be able to see Lauren perform on the BBC Radio 2 Stage and at the Town Square​. 1: What fact should the UK fans know about you? I actually am a homebody, shy, and an introvert. Playing music challenges me to come out of my shell. But I get nervous every show. I love comedy and to make people laugh. I also love 2-pac ya! 2: What is your favorite song to perform live? That a really hard question. It changes for me a lot. I really love to play sky submarine- waste the day. And walking in the moonlight a lot. Also my song fairy tale dream from. My record counting skeletons . 3: What can we expect from your set? My set at pizza express will be like sitting with me in my living. Room. I like to feel these kinds of gigs out as I go. I have a basic outline in my head of what I’m going to ply but sometimes it changes up as I take requests a lot. I like to interact with the crowd a lot. 4: What London sights are on your bucket list to see while here? I got to go to the Tate for my first time that was a cool experience. I love to go to Camden Markets I just love the energy there on a Sunday with everyone buzzing about. I’ve not done a lot of tourist stuff surprisingly. I’ve been here more times than I can count and still not made it to see Big Ben up close. I’d like to do that one day. 5: Final question if there were one artist you wish to collaborate with who might that be and why? I get this question a lot. I always say Sia. Sia is such an amazing and creative woman of our modern music world. I relate a lot to her journey and how she is versatile with her style. I have so much respect for her craft and process. I’ve read Interviews with and I adore her way of thinking and what she’s been through. She is a creative soul,song writer, and performer that I am inspired by. I would love to work with her one day. Plus she’s a Sagittarius like me and seems like a very fun and interesting person. In January, The Steel Woods released their latest album - Old News - the follow up to their 2017 debut Straw in The Wind. This week we caught up with guitarist Jason Cope to find out a little more about the album. 1: What is the source of influence on the record? Years of hard working and fighting off demons, and a nod to our musical heroes who came before us and passed away during the writing process. 2: Can you tell us a little bit more where did the album title come from? The album title comes from the song Old News. 3: What made you come up with a decision to include covers such as Townes Van Zandt, Tom Petty and Black Sabbath? The last 4 songs on the album are meant to be the Obituary section of the newspaper: Merle Haggard, Tom Petty, and Greg Allman all passed away while we were writing for the album. They paved the way for us to do what we do, and we always want to acknowledge that. The Townes Van Zandt and Black Sabbath covers fit in with the overall theme of the record while also allowing us to showcase the musical diversity in our sound. 4: Would you consider this album as a reintroduction from the band to your audiences with the presented songs? Yes, I think the fans that have been around from Day 1 have been waiting for new music and this album will serve as a reintroduction in some ways. We cut the album very live. We did some overdubs on some songs, but 90% of the album is four guys throwing down at once. 5: How can you describe your sound? People ask us to describe our sound and it’s kind of a hard question. Our sound is 4 musicians trying to play the best we can. It has a very southern American imprint on it naturally because of our influences. (Bluegrass, Funk, Rock, Gospel, Blues and Country). I guess we’re just a straight up southern rock band. 1. How would you describe the album's sound to new listeners? SiriusXM Outlaw Country's been playing it a lot, which I consider a type of sound that I'm interested in and am glad to be grouped with. A few people have called it hillbilly rock & roll. We might could be on the Jerry Reed/Tony Joe White/Delbert McClinton/Willie Nelson/Lowell George part of that spectrum. I like to call that moody, mid-tempo part of our sound "Gulf Coast R & B." We like to make the club bounce. I think we're a guitar slingin'/singer-songwriter type of outfit, kinda like a Tom Petty or Dwight Yoakam approach maybe. Lots of pedal steel, plenty of telecasters, some twin guitars, and we're gonna send you home singin' a line or two. Producer Noah Shain recorded my band live to tape at Welcome To 1979 Studio in Nashville, mixed it to 1/4" tape, Pete Lyman Mastered it, and Kindercore Vinyl in Athens, GA manufactured it on their WarmTone record presses. Our production/manufacturing is a 1st choice dream-team across the board. 2. What makes this record unique compared to most music coming from Nashville? I reckon starting the record off with a 6-minute long single that's got a 1-minute long fade-out might make us look like screwballs to everybody over on Music Row. And then I suppose we might not be quite ironic enough for your average hipster either, you know? I mean hell, I'm still trying to write a song or two on each record that might ought to be cut by another artist. You know, John Hiatt/Jim Lauderdale style. 3. What is your favourite track to perform from the album? "Don't Look Back" has been a great jam every time we've cranked it up so far and "Gone Back Down To Georgia" is hitting real hard too. The other night in Indianapolis when we played "A Tune You Can Whistle" it felt like we might knock the damned back wall of the honky-tonk down. It just hooked-up like a big rig and steady rolled through the night. Then when we played "20 Questions" and everybody in the club was hollerin' "Why why why why why why! Why'd you leave your car downtown last night" on the choruses, the "favorite" category became a coin toss. The way the songs function live is the acid test for me. I feel lucky and fortunate to be playing most of the songs off of each of my records every night. You know, "Redneck Rock & Roll", "Bad News Travels Fast", "I Got The Jug", "Six Weeks In A Motel", "One More Round", "4 Letters In A Heart", "Johnny's Tavern", and "Sea Of Lights" continue to be favorites off of earlier records. So far all of Side-A on "Tennessee Alabama Fireworks" is playing real cool and we're digging in with numbers like "Skin & Ink" and "We Ain't Got The Good" off Side-B. 4. Where did inspiration for the tracks come from? Oh hell I don't know... maybe I operate kind of like a cameraman using an Extreme Long Establishing Shot - High Angle - Zoom In - Close Up on this one. I'd been writing new songs on the road the whole year and becoming a little bit successful as an artist, while simultaneously the notorious demons of the entertainment business; financial insecurity, unpredictable schedules, depression, irregular sleep cycles, and countless big let downs wreaked havoc on a relationship that was very important to me. The love of my life left Nashville right as things started to work out for me here. No need to fabricate irony you know? And it's all about perspective which spawns humor right? When you do the emotional math on it ,the problem is always bad communication and the remainder that I'm aiming at is understanding, compassion and joy. It's household knowledge that longterm relationships and the institution of marriage are taking a severe beating at the hands of fear, jealousy, greed, financial insecurity, alcoholism, addiction, digital distraction, and lack of communication maybe topping the list. I think people who can stay together in love are heroes. Producer Noah Shain and I developed the big picture approach for this album while we were recording "Sea Of Lights" at his studio in Los Angeles with an all-star band led by our great friend Steve Ferrone on drums and Paul Ill on Bass. That was a real dream team. Noah and Steve, both close friends and mentors of mine, began discussing and setting my task for the next record to be recorded 12 months later. They told me to assemble my East Nashville band and make the playing I'm doing with those cats so important that they won't be able to use an all-star band and they'll have to record my guys. We did 6 months worth of Thursday-Sunday regional runs and coast to coast tours on the "Sea Of Lights" album. We pretty much went right in the studio after we got back to Nashville from the final leg of the eastern seaboard tour and recorded 13 songs live to tape at Welcome To 1979 Studio in 5 days with my band. 5. With this albums release so early in 2019, what else is on the bucket list to achieve this year? We'll be touring all year in support of this album. I'd like to come join y'all in the U.K. for summer festivals this year. We recorded 13 songs and only 10 are on the album. So maybe those'll come out later as special edition pressing or something. And, there are a couple of exciting collaborations in the Boocoo Amigos series coming up also. Ahead of the release of Hayes' upcoming album, 'What It Is', we caught up with him for a quick question and answer session to find out more about the record. 1: Where did the inspiration come from for new album title ‘What it is’ ? A lot of this record is about taking stock of life, love, and the world around me. I've been trying to find ways to connect and be present with my life and the song "What It Is" summed all of that up so I made it the title track. 2: Your upcoming album shines a light on numerous topics including ‘eccentric love’ and living day by day, when did you realize it was about time to share your voice yet again with the world? I’M LUCKY THAT I HAVE OUTLETS FOR MY WORK AND PEOPLE WHO WANT TO SUPPORT MY EFFORTS IN GETTING IT OUT TO THE WORLD. MAKING RECORDS AND RELEASING THEM IS WHAT I DO, SO IT WASN’T SOMETHING I HAD TO REALLY GEAR UP FOR. I HAD A COLLECTION OF SONGS I LIKED AND I WANTED TO MAKE A NEW ALBUM, SO I DID. 3: Favourite song on the upcoming album? That's tough because they all scratch a different itch for me. But at the time of this answer I would say “None’ya." 4: What differentiates Texas country music to Nashville? IT DEPENDS ON WHAT ASPECTS OF EACH YOU’RE REFERRING TO — THERE ARE GOOD AND BAD ASPECTS TO BOTH. THE RED DIRT SCENE MUSIC MIGHT BE MORE SPECIFICALLY ORIENTED TOWARD ITS SPECIFIC AUDIENCE, BUT AT THE END OF THE DAY I DON’T SEE WHAT THERE IS TO ARGUE OVER — A GOOD SONG IS A GOOD SONG NO MATTER WHERE IT COMES FROM. What It Is will be out February 15th and is available to pre-order now. Fresh off the back of his first number one single, Drunk Me, Nashville native Mitchell Tenpenny has now released his debut album, Telling All My Secrets. Following the albums release we caught up with Mitchell for our latest Quick Fire Five. 1. In a year of so many highs, what has been the moment of 2018? Getting our first number one song has to be the moment of 2018! 2. Aside from tracks from the EP, what one song did you know you had to include in the album? 3. How would you describe the album to a new listener? 4. What reaction did you get from your label when you told them you had over 50 track ideas for the album? 5. With plenty of North American tour dates and festivals already penned for 2019, what else can we expect? Any international dates? Yes we plan to go overseas as soon as possible! We are looking into every option as we speak! Country music is taking over London this week for the annual Country Music Week. With some of Nashvilles biggest stars set to play some of the cities most iconic venues this week. On Sunday night, Darius Rucker will make his return to London to play in front of a sold out Royal Albert Hall. We caught up with Darius this week, ready with five questions. 1: What are most looking forward to your visit to London? 2: Can you describe your music in 5 words? 3: Current favourite tune to listen to? 4: What can fans expect from a Darius Rucker performance today? 5: Final question, if there were any artists you’d want to work with who might that be and reason behind choosing this very person? Following an appearance at March's Country to Country Festival, Danielle Bradbery returned to the England recently to play on the main stage at the inaugural Long Road Festival. Country in the UK caught up with Danielle for a Quick Fire Five interview - keep scrolling down for a special sixth question too. Danielle will be returning to the UK for a third time this year in November as she supports Thomas Rhett on his headline tour. 1) Since first performing in England, what has surprised you about the fans? They pay so much attention and love every moment of the show! I appreciate it so much as an artist! No, I didn't actually! That surprised me so much, but it’s the best feeling in the world! 3) What are you most looking forward to when touring the country in November? The fans, the area, all of the above! It's always so much fun. 4) What are your must have items when travelling overseas? My phone, of course. A camera and a big suitcase to go shopping hahaha! I don't need much. 5) Having recently collaborated with Thomas Rhett, what other artists would you like to collaborate on? I would love to collaborate with Shawn Mendes, Ariana Grande, Carrie Underwood, there are so many haha! 6) What would you tell yourself and what advice would you give if you could go back in time to the day of your first audition for The Voice? I’d tell myself to be confident and have so much fun. Let loose and take it in even more than I did. It was the most amazing experience. 1: First and foremost- What can fans expect from upcoming release ‘New Routes’? RB: Well, you can expect to hear some of our new members featured, especially Katie Shore our fiddler and vocalist. She and I wrote and co wrote some songs on this record which we are proud of. And as always we try and cover all different styles of music, songs we love with us giving our own interpretation. I feel its a true representation of “Americana” Roots music. 2: What's the secret that keeps AATW going? RB: Coffee! And a passion we all share for playing music. We all love to play and feel fortunate to travel the world doing so. 3: What’s special about the Texas sound that it differentiate it from the rest? RB: Texas is just a huge melting pot of different genres. Blues,Tejano,Country and Western, Singer Songwriter etc.. So I think you feel the freedom to integrate all of these styles of music without feeling bound to one form. That's what brought us to Texas, music like Bob Wills, Willie Nelson, Doug Sahm, Moon Mullican, Lightnin’ Hopkins etc..
4: Favorite song to listen to? 5: Finally words to live by?.. RB: Do what you love and don’t ever give up! Tonight (Friday 7th September) the inaugural Long Road Festival kicks off, and one of the many star names heading over from Nashville to perform is Florida native Elizabeth Cook. This week we caught up with Elizabeth for our Quick Fire Five. 1: What are you most looking forward to your one night in the UK and would consider coming back for a full date tour? Beans and pints and Pimms! I'd love to come back and tour the UK again. Been too long. 2: Quite recently you’ve been sharing few clips on Instagram of an upcoming album, can you give us any hints at this stage and what listeners might expect? I'm not even sure what to expect. But I bet I'll sound more with it like I was on Welder (2010), due to less psych meds now, but the material will have more heft like a weightlifter like on Exodus of Venus, due to survival. 3: What is the best part about having you a radio show? 4: Your favorite record at the moment? 5: Any piece of advice you can give to young people who are embarking on a career in the music industry? Kentucky native, Kenton Bryant is set to release his debut, self titled, EP this week - featuring six tracks that he either wrote or co-wrote. In recent months he’s been travelling across North America to introduce himself to fans, supporting some of the biggest names in the industry. With the release date edging closer we caught up with one of Nashville’s newest talents to ask him our latest set of Quick Fire Five Questions to find out more about him and the record. 1. Which track from the album do you most enjoy performing live? Beer and a bottle was the first song a crowd ever sang back to me, there’s nothing like that feeling! 2. How has opening for the likes of Willie Nelson and Kip Moore allowed you to introduce yourself to fans?Country music fans across the board are the best! They’re always welcoming to people bringing them new music. I’ve been very blessed to have people give me a chance on all different stages, and let me make them friends and fans. 3. How satisfying is it to know you wrote or co-wrote every track on the album? Ifeel like I’ve been very fortunate to discover my artistic voice by writing songs. My favorite artists were all writers, and carved out their own lane and voice with the music they created. That’s what I’m aspiring to do. 4. What venue will you never tire of playing as you now tour nationwide and hopefully worldwide soon? The venue where people took time out of their day to come spend it with me will never get old. Big, small, loud, quiet, doesn’t matter. If people are there to support me, I will always be ecstatic to be there. 5. Following the albums release, what is top of your country music bucket list of things you want to achieve? I want to make more fans and believers. We are all in this together, and it takes those for me to keep building this thing. I would love to play the Ryman. It’s the first place I saw a show, and it would be full-circle to get the opportunity to grace that stage and sing. Signed jointly for publishing by Big Machine Music and 50 Egg Music, the EP will be released this Friday(24th August). Earlier this year, Sinead Burgess made a big impact on country music fans in the UK when she headed out on tour across the country with The Shires. Last week (Friday 17th August), Sinead released her latest record - Damaged Goods. Fans in the UK didn't hesitate at wanting to hear more as she rose the through the UK iTunes Country Music chart to reach the top 3. We caught up with Sinead to find out more about how she feels now the album (our album of the week) has been released. 1. Which song from the album do you enjoy performing live the most? ​That's a really tough one! It definitely depends on my mood! 'Momma Raised a Ramblin' Man' & 'Tennessee Bound' are a whole lotta fun to rock out to! But I think if I had to choose one, my favorite to perform might be 'Wildflowers of Colorado'. I tend to get pretty lost in that one. 2. How did touring with The Shires help introduce you to new fans? Touring with The Shires was one of the most incredible and surreal things I've ever done. Being on a tour bus with some of my favorite people on the planet for a month is a pretty lucky place to be. Without them lending their incredible fans to me night after night and really giving me an opportunity to bring my music to the masses, I know there'd be very few people in the U.K that would know my name right now. They gave me an empty stage, their incredible crew to use & made sure they told their fans to get there early. Not many headliners would do that. They're pretty special humans. I'll forever be grateful to them. 3. How were your nerves the night before the album was released? 4. Have you been surprised by how quick the album went up the iTunes country chart in the UK? BEYOND. I didn't even think to look at the charts to be honest, because it didn't even occur to me that it could happen. It was actually a songwriting buddy of mine who texted me saying it was at #6 in Australia. After that I went "I wonder if I should check the U.K charts?". I called my mum and dad in Australia straight away and we all had tears. Needless to say I was completely lost for words. So grateful to those people listening to and resonating with my little acoustic record. 5. What is now top of your bucket list of things to achieve in country music? The top of my bucket list for a career in country music is really to keep making honest records that people enjoy & be able to tour constantly all over the world. I am just DYING to get back to the U.K to tour! I had such an incredible time playing over there. I'm working on some return dates ATM, so fingers crossed I can be back by the end of the year! But if we're aiming big, I mean, playing the Royal Albert Hall on my own would probably take the number one spot on the bucket list! On Friday (10th August), April Kry released her new 8 track album, Sink or Swim, featuring the single Perfectly Imperfect. With the album featured as our current album of the week, we put our Quick Fire Five questions to April to introduce her to the UK audience. Be sure to check out the new album, available from all the usual media outlets. 1. What fact don't many people know about you? I am pretty introverted. I like my alone time, so I recharge by being by myself! 2. Which song from the album are you looking forward to playing live? Definitely "I Feel At Home"- It's just one of those songs that I can be completely myself on and it feels so natural when I sing it! 3. What made you choose Sink or Swim as the album title? "Sink Or Swim" was actually one of the first songs I wrote when I moved to Nashville 6 years ago with my friends Jonathan Perkins and Karl Rybacki. It speaks to a relationship that is on the edge of failing or flourishing. A choice has to be made. I wrote it from a perspective of my career as an artist. I can either choose to go all in and fight for this dream that I've had since I was a little girl, or give it up. I chose this song as the title track because I think it fits the whole theme of the project- "It's now or never..." I'm pretty much giving myself a pep talk the entire song. Sometimes that's what you need to do as an artist. Take that leap, even if you think you are going to fail. 4. What is your go to cover song? "A Broken Wing" by Martina McBride. Something about the message of that song resonates with me. Feeling like a caged bird, not being able to fly is something I've felt before in my life. Of course the melody is incredible and its just a fun song for me to sing! 5. What emoji describes how you feel about the release of the new album? Jim Lauderdale is perhaps one of Americanas most celebrated musicians today. With nearly 30 years in the industry, 2 Grammy’s, an AMA Wagonmaster award receiver and 31 releases up to this day, Lauderdale is without a doubt a true music veteran. Recently releasing two brand new albums - ‘Time Flies’ and ‘Jim Lauderdale & Roland White’ - we caught up with Mr Americana himself for our ‘Quick Fire Five’ to know more about his recent releases, music video plus many more. RT: It’s been a while since you last recorded a music video with special guests! What was your favorite part about filming again? JL: Let me think about that for a second. I can’t remember now when last one was! It was a long time ago. Gosh, I guess the best part of it was seeing the audience react to the song and the challenge of doing a video while there’s an audience. So I just tried to have fun and I think if you’re enjoying yourself the audience will too and if you’re not then I think for audience it's harder for them to enjoy. So I just tried to have a good time and the band was having a good time too I think. That’s right and I kissed him on the forehead, It was great to get Manuel out and to get him on film! Manuel made the suit and Janet Aspley from England she made the shirt. I wear alot of her shirts. So, I wear alot of Manual suits and a lot of Janet’s shirts they seem to go well together. RT: Only, few years ago the unearthing of JL and RW mastertapes were discovered! What was that like upon hearing the news? JL: I was very elated. I figured it was gone forever and that we’d lost it and we’d never find it and then after Roland sat in with me when I was doing a bluegrass gig at the Station Inn as he was leaving the stage almost as an afterthought he said “Oh my wife found a tape at the bottom of a box while she was going through things and it has our names on it” and so it turned out to be the tape! and so I’m just really, really happy. It means alot to me that’s been discovered. He didn’t know it was in this box and i didn’t have any copies of it and so we each thought the other had a copy of the mastertape. Then when I finally got a record deal about 8 or 9 years after we recorded that album even a few years after that I thought now is the time to put it out record companies will take a chance on this. At that time when I was sending out the tapes right after we recorded it I was unknown in the bluegrass world and was not on a circuit of touring. So, they didn’t want to take that chance during at that time. Then when the time did roll around it was lost! It’s still hard to believe it was found now. RT: If you could choose 1 song from each album that poses significances to you as an artist which songs might you choose and why? JL: I think, maybe ‘Violet’ from Times Flies just because the theme is so different for me and I really enjoy a lot it's a different type song for me. On the Roland record, I think ‘Forgive and Forget’ since that one I wrote on the record and it kinda encapsulates the traditional bluegrass style for me. RT: What has been the highlight of your career so far? and Did Jim Lauderdale fulfil his two set goals since arriving in Nashville in 1979? JL: That’s hard to decide on because there have been many and it all took a long time for it to happen really. A lot of my dreams did come true, it just took a long time. But I learned a lot while I was waiting and through the process. So I think it’s hard to choose just one highlight but I think that in some ways having both of these records out right now is a big highlight because on one hand, I have a new body of work that I’m really happy with. Now the challenge is to continue from here and create something else. And in some ways, I did fulfill my goals. I still have other goals but when I first came to Nashville in 1979 my two goals was to hang out with Roland White and I didn’t really dream I could get to record with him! So we did that and that the record is out that really fulfills that goal. My other goal in coming to Nashville at that time was to hang out with George Jones! I did not get to hang out him at that time but then years later I got to sing a duet with him that then didn’t come out till years later on a duet record called ‘Burn Your Playhouse Down’ it was unreleased duets and so he had duets with unreleased things like with Tammy Wynette, Keith Richards so it was great to be part of that. Then he recorded a song with Patty Loveless called ‘You Don’t Seem to Miss Me’ and then I got to portray him in a play and so that goal was really fulfilled as well. So those goals from 1979 took a really long time but they finally gradually happened. We only did the show at a place called ‘Flat Rock Playhouse’ where I actually worked there as a kid during the summertime in Flat Rock, North Carolina and then it came to The Ryman Auditorium for a limited run in the Fall for two years and they had wanted to go to Broadway and stuff like that and it just never happened. So they did not record it. So it’s shame, no tape, no video, we didn’t go into a studio, no live things.. But his influence [George Jones] is very heavy on me. There’s a lot of George, I listened to him so much in my life growing up. He really touches my soul with his voice. RT: Finally when will the UK see Jim Lauderdale again? JL: Oh gosh, I hope sooner than later! Last summer I was over there for almost 3 weeks it seemed like and then nothing happened this year so I hope I get the offers to come back for next year. Maybe with the release of this record it’ll open up some doors. Canaan Cox is flying in to the UK at he end of September to appear as the special guest for London's Nashville Nights being held at Under the Bridge in Chelsea. We spoke with Canaan this week to find out a little more about him and what we have to look forward to on the 28th September. This week Canaan has also released his latest single, Greener, which you will find below. 1. What fact do the British audience need to know about you? I frikin love chocolate milk. Hahaa, I kid, kind of. I really do love it though. But when it comes to my music I like to hone in on that my success comes from me. I am not managed, no one books me, no label. I like to share that all my success comes from hard work and discipline. Super grateful for the fans and followers who have helped make my dream into a reality. Funny as it may sounds, I love the old school pop and R&B. Michael Jackson, Stevie Wonder. So my top 2 favorite to perform are Billie Jean and I Wanna Dance With Somebody! 3. What is your favourite thing about recording music? The process. It is so cool to go back to your first phone recording you did and then to hear the full blown production of it all. With one of my singles, "Lie' I have a video of me in my old bedroom working on the song for the first time. So it's crazy to watch that and then go watch the music video and be like, "that little kid is here now". 4. Where were you the first time you heard Out Of Nowhere on the radio? It was actually on a UK station I think. Have some good fans/pals in Andover who run a radio staton there (Andover Radio) and they've been fans for a while. So they did a little UK premier over there! 5. What is on your London bucket list? 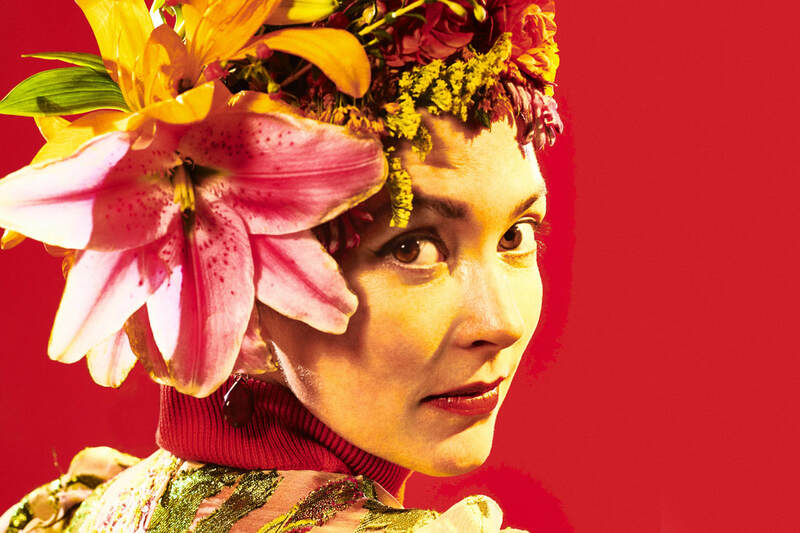 Amanda Shires is set to release new album, To The Sunset, tomorrow (3rd August via Thirty Tigers/ Silver Knife Records)and we caught up with her this week ready with five questions to find out more about the album, which we have already had a listen to and loved. AM:The motivation behind it, I’m a writer. So, I write poems and songs and after a couple of years you have a lot of ideas going on and the motivation is everything from having a child, having a family to political and climate. Having some feelings like that i felt I needed to work through. AM:That is a line from the song ‘Eve’s Daughter’ it's really meant to be a toast to the experience of our past that makes us who we are today to the expercine we haven’t had and also, if you had good days,cheers to those good days and if had bad days cheers, see ya later glad that phase is over. 3: Can you could describe your album in one word? AM: Only one word? Driven! Or All Rock n Roll and no Golf! 4: You’re a very passionate person towards equality in the music industry as we’ve on numerous of occasions including, once phoning up a radio station about the fact there was no female artists has featured! Have you considered in creating a platform to share your views- ie. podcast or a website segment? AM: I was mad and fired up that day! Well, the thing about it that is kinda awesome, is that the more we address these things and make folks aware of it of the things that are not equal or just wrong then there are easier to take steps, for us to make change. That would be super awesome and I would love to do that and I have thought about things like that. But then I also need someone to help me. Because it’s kinda a lot to balance, touring with my husband and doing my own music and then also trying to raise a brave and strong little girl into a women. So in all of that in top of having to do the laundry and pay the bills! I would love to but i think I would need a team of people for non profit or whatever that would do it voluntarily just because i don’t have enough hands to keep juggling as it is. 5: Final question, your favourite all time poem. They are one of the fastest growing UK country music acts of 2018. This year, The Wandering Hearts have released an album, performed across the UK and even had time to make their Grand Ole Opry debut in Music City. We caught up with the band, armed with just five questions. 1. What has been your favourite song from the album to perform live? Our favourite song to play live is definitely Rattle. It was the first song we ever wrote as a band and it has a real groove to it. It moves from a bluesy start to a proper rocky chorus with all four of us belting it out. It’s also one that the crowd always dances along to, which is pretty cool to see! 2. What makes the festival season so special? Playing festivals is a blast as there’s always a lovely vibe and people out to have a good time, listening to music they love as well as looking to hear new stuff. The energy is infectious, we always come away with lovely snap shot memories of particular experiences and if you’re lucky with the weather, you’re laughing! Mad, crazy, overwhelming, PINCH ME! 4. If you could perform on stage with any artist who would it be? It would have to be Chris Stapleton. He’s been a huge inspiration for us as a band. We all admire his flawless voice and his ability to write such stunning songs. That’s if we all remember to sing and not get carried away listening to him! 5. If you had to give someone who has never listened to country music a track to listen to, what would it be? The perfect song to us would be Kenny Rogers - The Gambler. It was one of the songs that got us into country music from an early age, listening at home with our parents. The lyrics are a little dark and have so many clever references to gambling as metaphors for life. It always gets us up and singing anytime we hear it! 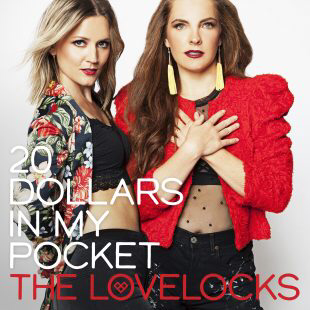 On the 13th July, Toronto based roots duo The Lovelocks, made up of Ali Raney and Zoe Neuman, released their latest EP, 20 Dollars In My Pocket. Following the albums release we put to them are quick fire five questions. 1. Which song from the album are you most excited about playing live? I love track 4 on this album, “Good Way To Go”. I had such a blast in the studio cutting the vocals and fiddle on this song, and we haven’t had a chance to play it live yet. It’s one of those songs that just feels so good! I can’t wait for everyone to hear it. 2. If you were down to your last twenty dollars, what would you spend it on? 3. What was the best part about recording the new album? Recording in Toronto!! It happened by accident, but I’m so glad we got the chance to record in our own city. It’s always been a dream of mine to do that, and because we’ve always recorded primarily in Nashville it hadn’t happened yet. It was so nice to go home in between sessions, get a good rest in my own bed, snuggle my dog, and have our loved ones drop in to the studio! 4. What would be your dream venue to play at? Massey Hall is at the top of my bucket list! I’ve been super fortunate to play a ton of well known stages all over North America with The Lovelocks and other touring acts I’ve been out with, but I’ve never had the honour of playing Massey Hall. The hometown crowd is totally where it’s at for me, and hearing our in Toronto’s most celebrated music venue would be a dream come true! 5. Where were you the first time you heard Staycation on the radio? I think it was probably during promo week! I don’t remember what station it was exactly but it’s always a cool moment to hear a song you co-wrote playing over the airwaves. Zoe: I am excited to sing “Fast Forward” live. It’s the song that makes me feel all the feels on the album! I can’t wait to perform it with a full, 7-piece band and see how the crowd responds to it in real life! I get goosebumps just thinking about it! Zoe: For me, it would be the Grand Old Opry. On our first trip to Nashville, Ali and I visited this historic venue and did a backstage tour. It was magical to imagine all of the incredible acts that walked onto that stage, and to actually experience a concert there that night. If we could play that stage, it would be a checkmark on the old bucket list! Zoe: We did a radio tour when we first released the song, so I remember hearing it in Ottawa on the first stop of our radio tour when we first released the song! It was so fun to hear it on the airwaves! Jerry Jeff Walker is a renowned artist who is responsible for numerous timeless classics, including “Mr Bojangles,” despite being born and raised in New York, Walker’s roots are deeply embedded in Texas with nearly 45 years living out in the Lone Star State. Now 72, we sat down with Jerry Jeff Walker for our Quick Fire Five to discuss his recent release “It’s All About Time” advice and memories. However, because of his staggering work we asked JJW one more question. 1: What inspired your recent release “It’s All About Time”? I hadn’t done a CD in a long time, so I talked to the band about making another CD and they said “It’s about time! It’s about time!” You haven’t done one in a while, its about time. So I called it ‘It’s About Time’ and I just played every song that I have available. Things that I wrote, things that were on my mind. Little bit of everything, some old songs, new songs and things I have written. 2: If you could pick one song as your favorite from your new record what might it be and why? Well, they are all picking the California song, about the one where I was going to California and I stopped in Texas for a bit, and I’ve been here 45 years since till I met a girl here, fell in love and had babies. And I still dream about California but I an’t going nowhere. I’ve been married for 45 years- we go out for a bit- because, when it gets hot out here in Texas and its the only cold place in United States is Northern California- along the Pacific Ocean. Pacific Ocean stays 52 degrees and the wind of the water we called it nature’s air conditioning. Oh its beautiful, you sleep with the windows open and blankets on in the middle of August. 3: What advice can you give to aspiring singer-songwriters? Turn back its a trap! I don’t know, it seems like the whole game is written against us. I think if you have to do it, you have to do it- there isn’t anything I can say about it you know. I mean, people can tell you, you’re no good and keep on doing it and make you a livelihood out of it, or people say you’re good and you should keep doing it maybe you don’t want to. so you just have to follow your own desire. The problem with music is just because you want to play, doesn’t mean you can’t play. You have to kinda work at it. People here like to have their life sang about, they like a good story I mean you can sit here around a camp fire forever and that’s important we’re in that Tradition. I was reading something about Ireland and they were talking about people there wanting their life’s sung about, I said, basically the same thing here in Texas you know I write about, boot-makers, saddle makers and people that I meet and old men in a jail cell or whatever that comes out. Live stories. Magic is everywhere. 4: With nearly 40 years in the industry- is there a favorite memory you’d like to share with Country in The UK readers? Oh gosh, I don’t know.. Well the things I think about is, I remember playing a show with the ole Texas Playboys opening they were here a long time. They had told me that 3 of the guys died after the gigs. They’ve gone home and passed away in the night, after they played that night somewhere. I mentioned to Willie and Willie Nelson and he said “that’s a good way to go” and I said yeah, play right up until the end. So that’s part of our tradition too I think, play as long as you can. We like to. 5: What keeps Jerry Jeff Walker going? Hmmm, the first thing that came to mind is my wife Susan. She helps me in this whole business. I mean as far as answering the phones, paying the bills and doing stuff, balancing books and making sure that I’m in the right spot. I don’t think I enjoy the business very much if I didn’t have her. I think of the nights you play and people have a lot of fun that’s worthwhile and I’m glad I did it so I remember that and that keeps me going. 6: What other career path would might have considered aside from music when you were younger? ​Oh gosh, I don’t know. It looked like I was headed like for a bar life. I mean was either going to be a bartender or a you know something like that. But now that I look at the music business there are a lot of jobs there inside of it, you can be a roadie, you can me a manager, you can be I don’t know. I’m kinda of a daydreamer and I’m kinda a happy go lucky guy so who knows! I might’ve been a lifeguard. I got married to a beautiful rich women, she took care of me- because, I brighten her day. 1. What was your favourite part of filming the new video? My favorite part about filming the “Little By Little”music video was getting to indulge in the donuts!! I was so excited when Logen (my videographer) surprised me with the donut scene, because who doesn’t love donuts? And as embarrassing as it is, donuts have become a huge part of my brand haha. 2. Has the reaction to the release surprised you? A little bit, with it being my first release I was very nervous and was not letting myself get my hopes up. So it was pleasant surprise to get so much positive feedback and support from my fans and peers! 3. When was the first time you heard the song on the radio? I was on my first week of radio tour through Arkansas and had gone home to see my family for the night, my mom asked me to go pick my nephew and little brother up from school and as I was sitting in the parking lot with my boyfriend it came on the radio! It was a cool experience to be sitting in my hometown at the school I grew up in and hear my song for the first time! 4. How was stepping on stage at CMA Fest different to other concerts? It was inspiring. It was the first time I had stepped on a stage and truly felt like the audience was packed full of country music lovers. I can honestly say that that show gave me a new perspective on my career and gave me more confidence after seeing reactions from the loyal country music community! 5. How would describe these last few months in five words? Exciting, exhausting, motivating, a whirlwind & an adventure. 1. What is it about the UK crowd that makes you want to keep coming back? The love I feel from a UK audience compares to none for me. As a musician it’s all about the connection to the audience and I feel fully locked in when I play. I can’t stay away! 2. If you could perform at any festival which would it be? Glastonbury is a bucket list! 3. What makes performing at a festival different to concert night? Festivals are so wonderful because you are getting to hear a long day of music! It feels more like a celebration with the fans. I tend to find so many hidden gems at festivals too. 4. If you could perform one cover on Friday night what would you choose? Anything by Alison Krauss! She’s my go to cover artist. That’s my only hint. 5. Can fans expect more new music on Friday following the release of Diamonds? I’m playing some some music and sprinkling in my two favorite covers. I can’t wait!! The new original is a catchy melody. Ahead of this weekends Black Deer Festival in Kent we have caught up with one of the many artists, Jarrod Dickenson, heading over from Nashville to be apart of this inaugural event for another Quick Fire Five interview. 1. What makes playing a festival so unique? Festivals have a completely different feel to a club gig. People are generally in a great mood, ready for a party and some good music, so they're sort of on your side from the start. Everyone is up for a good time, and you can feel that energy on stage. 2. What's your go to tourist spot when in England? I rarely get to play tourist when I'm over, but I love Norwich. It's a beautiful, soulful city with charming cobblestone streets, great record shops, book stores and pubs. 3. What can fans expect from your set this weekend? We'll have a full band out for the festival with horns, Hammond organ and the whole nine yards, so fans can expect a pretty rockin' set. 4. Will you be checking out any other artists this weekend? We'll check out as many as we can. A couple acts we'll definitely try to catch are Jason Isbell and Bennett Wilson Poole. 5. If you could bring one artist on stage with you this weekend who would it be and what would you sing? If we're talking complete dream gig I'd say I'd like to join the entire Traveling Wilburys crew on stage for a rendition of "End Of The Line". If you are heading to Black Deer this weekend make sure you check out Jarrod who will appearing twice on Saturday. 1. How would you describe the album in 5 words? 2. What track from the album are you most looking forward to performing live? 3. How have your expectations of this album changed compared to your previous release? I expected an overall better record from myself and my team simply because we’ve had two more years of experience together… I feel that we accomplished that. I’m also hopeful that there are a few more people out there who are going to hear it! 4. Having recently toured North America, when can we hope to see you this side of the Atlantic as the demand for country music continues to increase? I wish I had a definitive answer for you, but unfortunately I don’t. I really want to get over there soon though, so I’ll get on that! 5. If you had to perform a cover of any track, what would it be? Thanks again to Steve for taking time out to join us for Quick Fire Five. Have a listen to Steve's Born Ready album below as well as the track he's looking forward to playing live, Crazy Does, and Moakler's version of John Wait's Missing You. Two Ways Home are made up of Isabella (originally from Vienna) and Lewis (who grew up in Gloucestershire). The alt-country duo have been workingbehind the scenes developing their sound and crafting new songs. As I Leavewas written in Nashville withlocalcountry duo: The Young Fables,who have become close friends of the pair. 1. How did the opportunity to write with Young Fables come about? Isi: This was set up by Luke from Lime Tree Music, he was working on a PR campaign for the Young Fables at the time and we had a trip planned to Nashville and he thought we would be a good fit so he introduced us and they came over to our AirBnB one evening and As I leave was born. 2. What has been the biggest influence in your music? Lewis: From a songwriting perspective it is definitely just everyday situations and stories we have heard or read somewhere. In terms of style and musically, I grew up listening to a lot of Queen, The Eagles and classic rock bands which moulded my playing style. Isi: I grew up listening to a lot of Motown, soul and pop but since we started writing together in 2012 and kind of fell into the country/Americana style we have been soaking up as much country as we can. Someone who has really inspired us lately is Marty Stewart, when we saw him at C2C last year we were totally blown away. 3. What has been your highlight of the year so far? Isi: So far this year we are super excited about our night The Round Up, which is a Nashville style writers-round we host every month, and how well it has been going. Also something which was super fun was interviewing a couple of bands at C2C this year. And also we are in Nashville at the moment and have met a lot of great people and written with some great writers and artists. 4. What else do fans have to look forward to over the coming months? Lewis: We are going on a little UK tour at the end of May, which will be fun, we will be hitting 11 different cities in the UK. Isi: Also we are playing a couple of big country festivals this summer and hopefully recording some more new music. 5. Who is on your bucket list to work with? Lewis: Id really like to write with an artist called Sean McConnell and also Lucie Silvas has been on our songwriters to write with list for a while. Upcoming performances include shows at the 229 Great Portland Street and The Bedford as well as an acoustic tour at the end of May. TwoWays Home also host a monthly writers-round named The Round Up, which has recently moved to The Colonel Fawcett in Camden after out-growing the previous venue. Guests have included Charlie Worsham, Twinnie, Laura Oakes, Kenny Foster and many more.